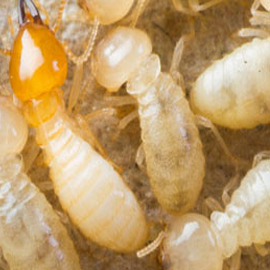 We've Got A License-To-Kill Your Termites! Depending on accessibility, local spot treatments are effective at eradicating small isolated infestations of termites. After a complete inspection of your home is completed, our licensed termite inspectors will advise you of the areas of termite infestation in your home and the type of treatment best suited to the structure. License To Kill offers both full structure tent fumigation as a primary recommendation, or secondary local treatments. License To Kill offers a control service agreement for either fumigation or secondary treatment that can be continued after the initial warranty period. There many alternative secondary termite treatment methods; liquid nitrogen, microwaves, electricity and residual termiticides. 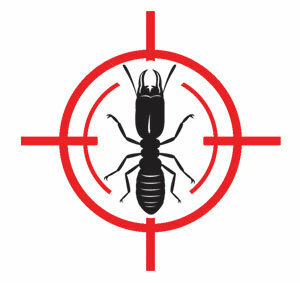 In some situations, such as controlling Subterranean termites, repellent termiticides are the only choice for continuing control. Repellent termiticides provide a continuous repellent barrier which prevents termites from entering the structure. 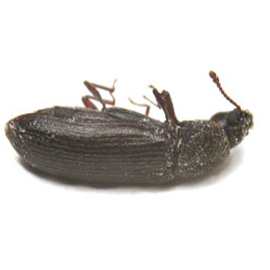 Repellent termiticides do not last indefinitely and will require re-treatment when the soil is disturbed. 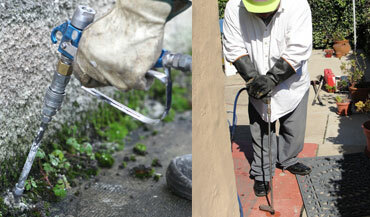 Non-repellent termiticides are a recent addition to License To Kill's termite protection plans. This new concept of termite control allows termites to penetrate treated areas where they contact the active termiticide. The termiticide is then carried on the termite's body into the colony, spreading to other termites like a virus. Foam applications are used to treat voids in foundation walls, behind brick veneer, under slabs and porches. Termiticide baits can eliminate colonies around structures. 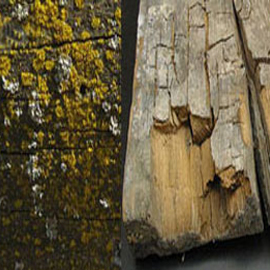 Baits contain several different active ingredients; however, this technique does not immediately stop termite foraging activity within the structure. Subterranean termites require different types of treatments because they nest in the ground, in what is known as a crown colony. These crown colonies infest structures from a distance, setting up satellite termite colonies. To kill subterranean termites, we use combination of structural and soil treatments. These treatments eliminate termites within the structure and form a protective barrier around the structure keeping them out. 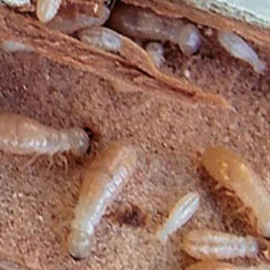 Evidence of Subterranean termites can be found in sub-areas, baseboards, and attics. Subterranean termites will also enter the home through expansion joints or cracks in the cement slab. The effectiveness of a Subterranean termite treatment depends on a thorough termite inspection. Make sure your Subterranean termites don't return, call us. 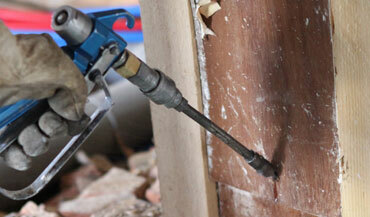 After your home is free of termites, we can also repair any damaged left behind. We are licensed by the Contractors State License Board to perform quality structural repairs. Our in-house construction department is staffed with specialists who can restore the integrity and appearance of your home. During the framing stage, we can treat wood members with Timbor which typically provides protection against Drywood termites for about a decade. Stop Subterranean termites before they infest a structure by letting us treat your slabs and foundations just before cement pouring for maximum effectiveness against Subterranean termites. Preventative treatments are beneficial to existing structures too. Attics and sub areas have many exposed wood members which allow both Subterranean and Drywood termites to infest the structure. If you are in the middle of a remodel, we can treat the exposed walls, ceilings and timber to protect your investment.